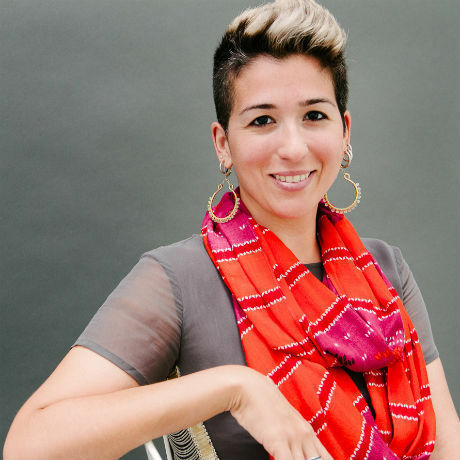 Vanessa Garcia is the Director of The Krane that brings strong, intelligent, and profound art and theatre (that doesn’t mean it’s not funny too!) to the global community. As a multi-media company of singers, actors, dancers, painters, and photographers, they mix beats with brushes and curtain calls, constantly crossing genres and exploring boundaries. Art, Theatre, Events, Music – The Krane is a visual and dramatic arts company that takes artists and audiences from the workshop to full-fledged production; from the canvas to the opening – touching upon every step of the artistic process and fusing the arts with design; mixed-media with tradition. Further, we hold writing and painting workshops and continually go out into high schools, colleges, universities, communities that are underdeveloped and in need of cultural infusion, and to homeless teens through a project called Tree of Life. Portrait courtesy of Tedeora Dakova (http://teodoradakova.com/) of the Girls’ Club (http://girlsclubcollection.org/).